…I would have been able to get this one for about 23 cents. As it was, I picked it up at Sears on Black Friday for $419, or about 40 percent off. That 23 cents figure is just a guess, and is probably way high, in the snow blower/hard drive comparison of prices and capabilities over time. My dad bought his first snow blower about 40 years ago, and I think he paid about $500. In today’s dollars, that would be about $2,800. Even though my snow blower today isn’t as heavy duty as Dad’s was, getting it for about 13 percent of the price, in constant dollars, is pretty good. That is, until you compare it to electronics, and particularly my favorite example, hard drives. Last year I wrote about my brother-in-law, Lane’s, experience in buying what seemed then a massive hard drive in the mid-80s, and how I had bought a hard drive that had 200,000 times more capacity (1 terabyte or 1000 gigabytes) for $70 at a Black Friday sale. I also suggested that smart SMUGgles should mark their calendars for 11/26/10. 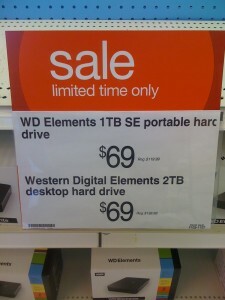 I predicted that they would be able to buy a 1.5 terabyte hard drive for about $70. It was even better: Target had a 2 TB desktop drive (400,000 times what Lane bought) for $69, and a portable 1 TB drive for the same price. I just took a photo instead of buying a drive, because I have about 500 gigs of free space on my drive from last year. 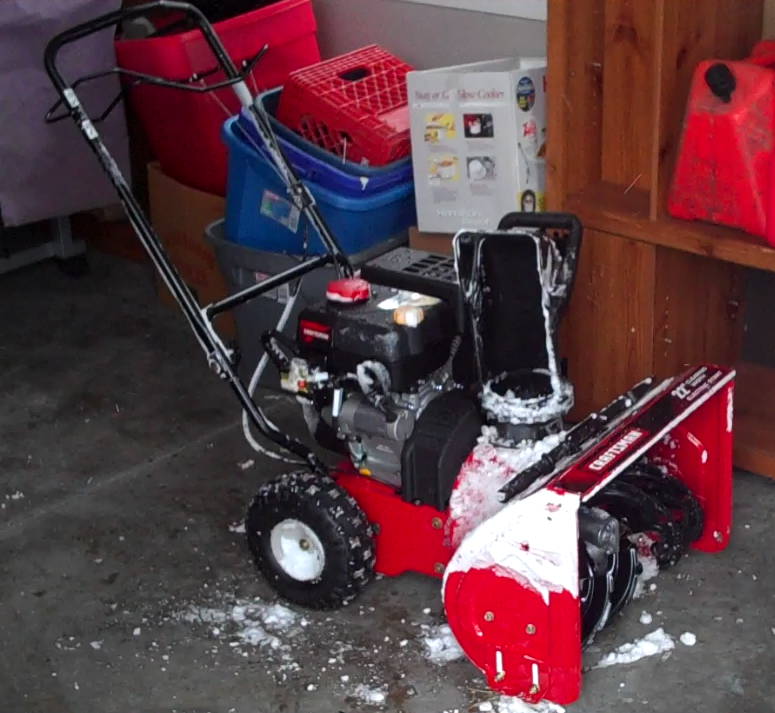 I applied that $69 toward the snow blower, a more pressing need. 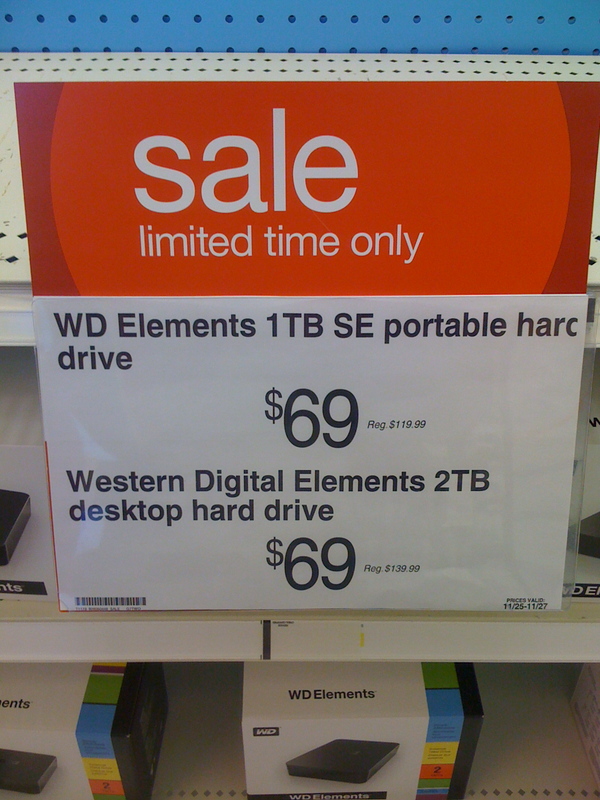 I think I’ll wait until 11/25/11 to get another hard drive, when I should be able to get 3 TB (or more) for $70. About twenty two years ago, I was given an external hard drive for my Mac at work. It was a 20 megabyte hard drive. I thought it was hugely wasteful because who would EVER use that much memory.